Our family has always strongly believed in chiropractic care, but when our second son, Owen was born with spina bifida unexpectedly, we were unsure of what we were dealing with and wanted to take extra precautions with his back and spine. We consulted with several different chiropractors, but it was our consultation with Dr. David Evans that really spoke to us. We liked his cautious approach, and once Owen started seeing him, our feelings about him and the entire office were confirmed. Dr. Evans takes great caution and care with our son, and he and the staff are always so kind and accommodating. They make it evident that their main concern is that my son gets what he needs. We like them so much that we drive almost 2 hours to see them! I also appreciate that the office and staff are so kid friendly and even have a designated kid area for my children to play while we are waiting. I’ve seen many chiropractors over the years, but my experience with Dr. Evans and ProWellness has been the best. Thirty years ago, two auto accidents left me with chronic neck and shoulder pain. Since the accidents, I have been regularly seeing a chiropractor. Over the course of these thirty years, I have also moved many times and have seen multiple chiropractors throughout the Unites States. My family and I moved back to Indiana last summer and we chose to see Dr. David Evans, at ProWellness chiropractic. It was the best chiropractic decision I ever made. With his combined knowledge, techniques, and tools, Dr. Evans creates an amazing, individually-tailored program of care, the likes of which I experienced for the first time. The quality of this care is outstanding, delivering not only immediate pain relief, but also the relief of knowing that I now have a way to effectively manage my chronic pain. I also bring my son, a high school athlete, to see Dr. Evans and wholeheartedly recommend him to anyone needing chiropractic care. For two years, I’d been having pain in my hip As an avid runner I was desperate to be pain free again. I had been to my regular doctor, a sports medicine doctor, had two cortizone shots and did two rounds of physical therapy. I’d never considered going to a chiropractor but when Dr. Harkins visited my workplace I thought nothing else was working so why not give it a try. I was surprised my insurance would cover most of the cost. After less than two months I was finally feeling like myself again. I was running without pain for the first time in years. I am so happy and plan to continue to run in all 50 states. Bring on number 23… New York. Whenever I have the chance I share my positive experience of chiropractic. As a society we take great care of our bodies, why would we not take the same care of our joints and spine. When I was told I would only need to come back once a month for maintenance I was sad. I really enjoy coming into the office. Jess is awesome and super friendly. The other doctors and patients make the environment upbeat and positive. I love the saying… If you do what you’ve always done you’ll get what you’ve always gotten. I’m glad I took a leap of faith and made my first appointment. I justed started treatments with Dr Hatfield and he is very professional and takes the time to explain everything he is doing. Looking forward to being back to my old self so I can get back to tennis. I am always amazed at how much better I feel after receiving care at Prowellness. My treatment with Dr. Galloway has become a major component in my journey toward better overall wellness in my life. I appreciate the kindness and professionalism of the entire staff. They have made a tremendous difference in my quality of life. Thank you all so much. I went in with little to no expectations as I have tried other chiropractic offices before. I must say now, that they blew me away! My quality of life is in a place that I can enjoy myself again. Prior to visits I was in quite a bit of pain and it was causing problems in my life. I would give them a try and see how it treats you! I started going to ProWellness when I was 4 months pregnant. I had developed sciatica pain in my lower left side; the pain ran down into my leg making it hard to walk. After many sleepless nights I knew I had to try chiropractic care. I was surprised that after just two adjustments the pain had subsided greatly! I continued to have adjustments and after three weeks the sciatica pain had completely gone away. I was able to sleep through the night and sit at my desk through a day of work pain free. I had heard other pregnant women’s testimonials of how easy their deliveries were. I was only hoping that I would also have the same result. When it came time to deliver I was so shocked: I only had a 20 minute delivery, which was very enjoyable. It was the easiest delivery and recovery. I would do it all again in a heartbeat. From the extensive and continued education and adjustments I received throughout my pregnancy, I am a strong believer and highly recommend that all pregnant women receive the education, adjustments and complete care that ProWellness Chiropractic provided me. Dr. Hatfield has been the best to work with. I appreciated immensley the time he has taken to treat me. I continued to go to him because I feel progress each visit. I plan to be a patient for life and have and will continue to refer my family and friends to him. Thank you, Dr. Hatfield, for taking what was a miserable pregnancy and turning it into an enjoyable, unforgettable time in my life! When I was living in Grand Rapids, MI, I was on so many prescription drugs to “fix” whatever was amiss in my body that I felt like a zombie. I had tried all the different medications available for restless legs and fibromyalgia and my body was acclimating to each one of them–they were no longer working. The doctors wanted to start mixing the meds to see if combinations would work. I refused. Every time I had to get off of a medication because it was no longer working or it was exacerbating the problem, I went through withdrawal and often times had anxiety attacks and suicidal feelings. Now they wanted to mix them! If I mixed them and the meds stopped working, how was I to know which medication wasn’t working? And if getting off one medication caused anxiety attacks and feelings of suicide, what would two do? I just HAD to find a different way. 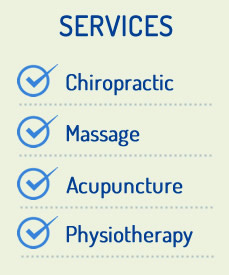 I did some research and found a chiropractor that had a holistic approach. Not just chiropractic, but diet, exercise, AND chiropractic. In time it started to help and then the miracle of all miracles: I no longer was on any medication whatsoever. I was getting chiropractic adjustments, taking supplements, exercising and watching what I ate. I was a new person! I was loving life and able to function as a real, live human being–not a drugged up zombie. When we moved to Indiana I tried a few chiropractors and they helped some, but there was something missing: the holistic approach. Then I was introduced to Dr. Galloway. His philosophy and approach were what I needed. He worked with me and designed a plan that would allow me to move forward with my wellness care. My goal was to be able to get on the floor and play with my 5 grandkids. There are 5 focus points Dr. Galloway has me working on: diet, exercise, stress, sleep and chiropractic. This is the recipe for my health. I don’t have to do these, it’s all volunteer. I see it like making a cake. The cake calls for water, eggs, butter and cake mix. It doesn’t care if I have these ingredients or not, I can substitute or leave something out but the cake will not turn out the way it is intended. In my case my wellness will not be what I want when I leave something out. I must admit, I don’t always do all the things Dr. Galloway has asked me to do all the time but it makes a difference in how well and functional I am. To be the best that I and my body can be I must strive to do all the components Dr. Galloway has given me. That being said however, even if I cannot do all the things exactly right, seeing Dr. Galloway on a regular basis is one I won’t skip if I can at all help it. Making sure my body is in alignment and running at the highest level it can makes a big difference in the way I can play with my grandkids and I won’t sacrifice that. And Amy and Jess, I don’t discount your importance. While I appreciate Dr. Galloway’s attention to our wellness YOU BOTH add so much to all that we experience there at the office and on the phone. I’m so, so very glad you are there. I can’t imagine what it would be like if you weren’t. When I first joined ProWellness, it was simply for some minor back pain. However, after having the inital EMG and X-Rays done, Dr. Galloway found that there were other minor issues with my spine. He made me aware of how these issues could be affecting my overall health. I thought, “I feel fine and besides, how can you REALLY judge how healthy you are?” Sure, I had inherited sinus and digestive issues, but I figured that was normal for everyone to have some minor health issues. I had only been receiving care from Dr. Galloway for a few months when I realized something: no sinus headaches during the season change from Summer to Fall! It’s now been about 8 months and I haven’t had a single headache! I have since noticed many other positive changes in my health and I realized that it IS possible to tell when you’re healthy! I have not only improved my quality of life by being adjusted, but through the expert advice Dr. Galloway gives. He is not just an outstanding chiropractor; he’s an excellent wellness coach! 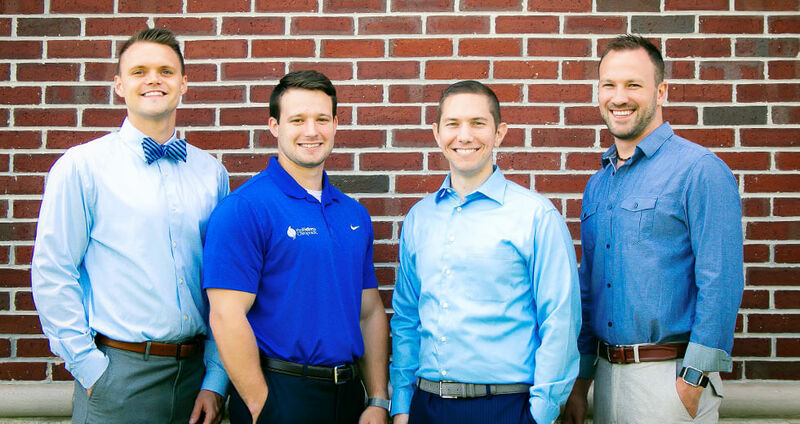 Ready to join our chiropractic family? Contact us today!